The FACTEUR PR team knows how easy it is to be wrapped up in all of life’s responsibilities, and suddenly it is the middle of the holiday season! To help you get a head start, we have gathered great gift ideas for a number of different people in your life. The best part is that each of the items featured below is from our wonderful clients, with many of them being small businesses to support. It’s a win-win! We know that one friend that you can always turn to for outfit advice. Why not treat them to a lovely accessory that will fit instantly into their wardrobe? Bombay Taxi Boutique has fun limited edition jewelry, handmade in India, such as this elegant quartz bracelet. Another unique company, Liza Michelle Jewelry, designs beautiful pieces that are hand cast in recycled metals. 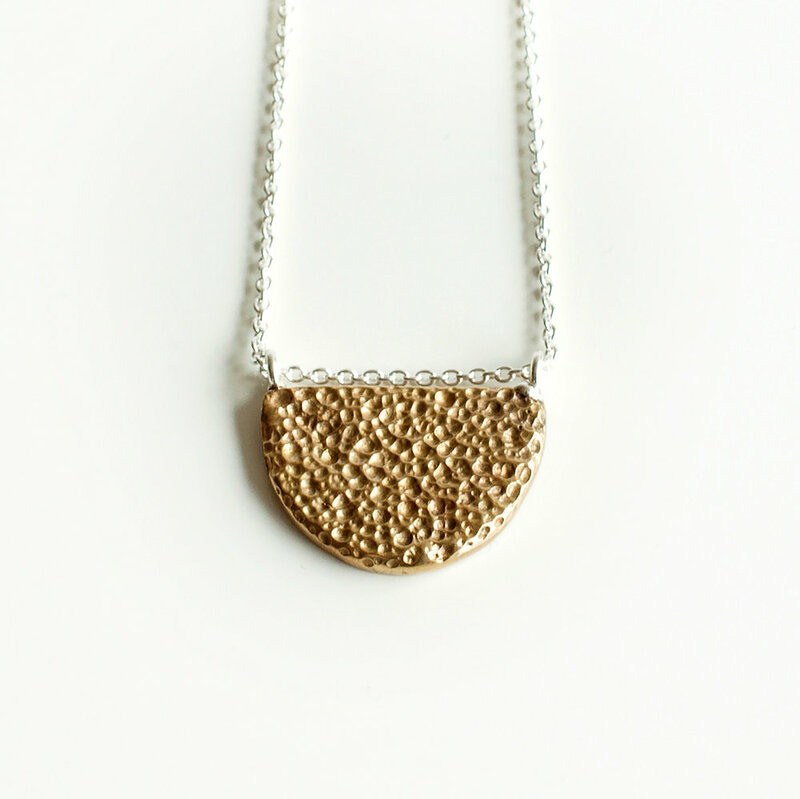 This necklace is from their Crater collection, which is inspired by textures and the moon. If you are lucky enough to have a passionate foodie in your home, you may want to thank them for all the great meals you’ve had together this year. Philly-based Jar Goods offers the perfect option for a go-to tomato sauce. If you can’t decide which of their delicious classic flavors to pick, how about all three? A hand towel always comes in handy in the kitchen, and this black and white tasseled one from Homies is made from super absorbent 100% cotton. This individual has a reputation for putting on both the best dinner parties and cozy movie nights in. Show your appreciation for their welcoming home with a chic decorative piece. Homies has handcrafted pillows that are each unique depending on how the fabric is cut and painted. If they are a Cleveland native, try a fun mug with a message. This one from the boutique Banyan Tree will surely bring a smile to their face. This friend is often searching out new places and always has a recommendation for a bite to eat when you are planning the group’s night out. Give them a day off from the hunt by treating them to a meal at Felice Urban Cafe. The eclectic yet relaxed home setting offers fantastic food, with produce that is often sourced from their garden. Another great option before going out to a game or concert, is The Flying Fig. Located in the Ohio City neighborhood, this warm, friendly, and contemporary restaurant proudly sources their delicious meals locally as well. It is so much fun for them to try the latest skincare and cosmetics! Often compact, these beauty products work well as stocking stuffers! The trending ingredient of Charcoal can be found in this all-natural cleanser from FreeRange SkinCare. All of their skincare products also include free range eggs that contain natural vitamins and antioxidants. VersaSpa provides a great sunless option for keeping one’s glow all year long. The encouragement from being a part of a local fitness community makes these kinds of activities so fun to try. Treat an acquaintance to a class at Harness Cycle for some great morning bonding time! And what is better to follow a sweat session than a refreshing sheet mask? Avarelle Cosmetics has a trio of Herbal Infusion masks, with each one featuring a different natural extract: Tea Tree, Rosehip Seed, and Cica. Have a friend whose love of nature inspires many aspects of their life? This cute mini dish with a cactus design would make a perfect bedside table or kitchen counter addition in their home. We also couldn’t help featuring this darling sterling silver ring that was cast from a real twig. We hope this gives you a good place to start in your holiday shopping. Many of these items will make great stocking stuffers too, so you really can’t go wrong. Happy Holidays! Anne Siegel is truly the kindest and most energetic soul you could ever meet. Our friendship dates back to 2008 when we first began working together at the Rock and Roll Hall of Fame + Museum: she in special events, I in communications. Since then, Anne’s role at the museum now includes planning all of the high-profile events like the Induction Ceremony: no small feat! Anne is so passionate about event planning that she does it in her free time as an independent consultant. Recently, she reached out to me to help her reimagine and relaunch her personal brand. As an event planner, Anne is a very visual creative, so she wanted us to focus our energies on designing an online space that would showcase her past work and also open the door for collaborations in the future. I asked Anne what three words would she use to describe her personal brand. She responded with "bold, authentic, and fun." We used her descriptors as the foundation of our creative direction, which is highlighted on the homepage (pictured above). The fun side of Anne's brand is really highlighted in the voice throughout her website, especially brought to life on her "About" page with the help of her unconventional headshots. We also worked together on developing a color scheme that spoke to both Anne's professional and fun sides of her event planning style. The pops of pink are bold and fun; the gentle touches of green are natural and authentic; the dark navy helps ground and bring the palette together. It's fresh, noticeable, and versatile. One of the most important objectives with launching Anne's website was making sure to deliver not only a great looking and user-friendly product for her website visitors, but also a user-friendly product that she could update on her own. We chose to build the site in Wordpress due to its flexibility and easy-to-use content management system. 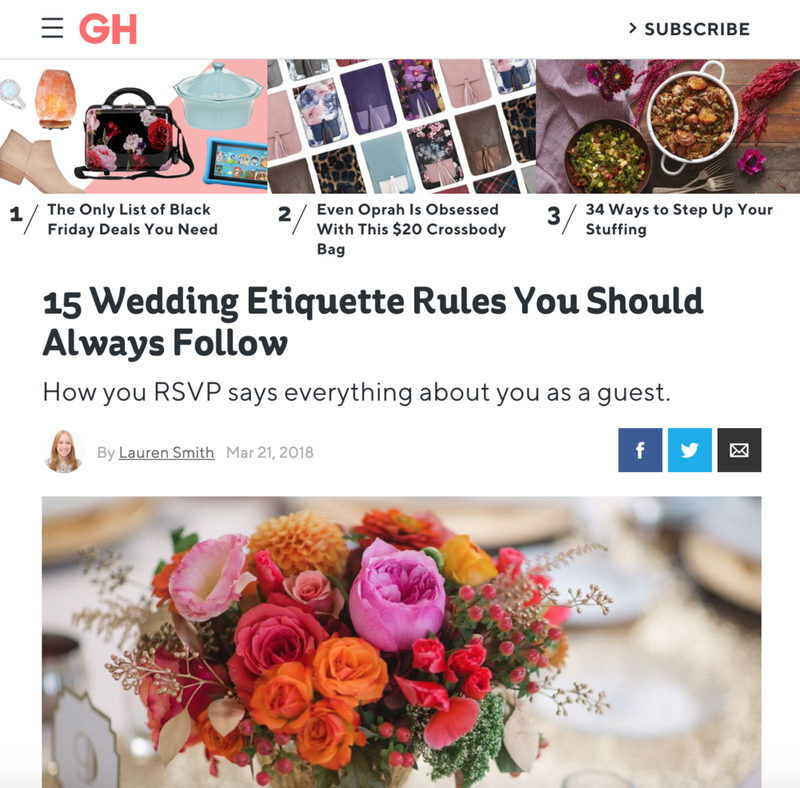 With the layout in place, she will be able to effortlessly update and add to the website as needed, whether it be her online portfolio or blog post. Additionally, as Anne is active on social media, we included an Instagram banner on the footer of each page to highlight her channel updates on a regular basis. It has been such a pleasure working on this project with Anne, and we hope you'll take a moment to visit her new website at annesiegel.com! Interested in learning more about FACTEUR PR's digital creative and content marketing services? Contact us!